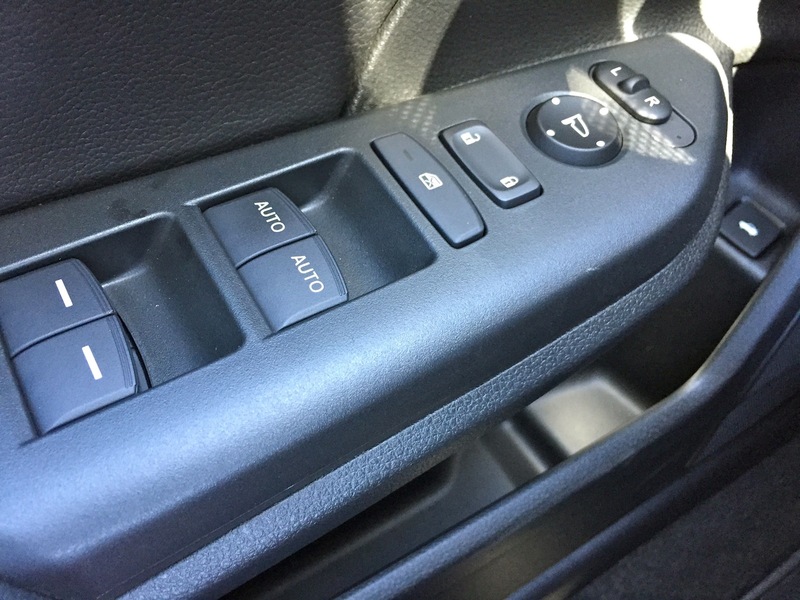 What is the automotive equivalent of being on hands and knees begging for forgiveness? 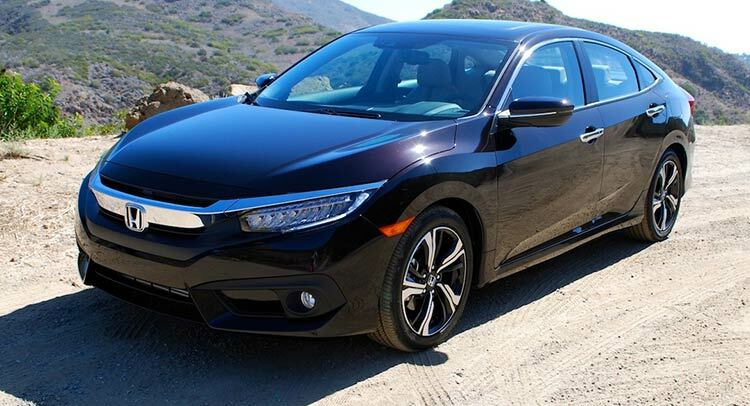 It would probably be the 2016 Honda Civic. 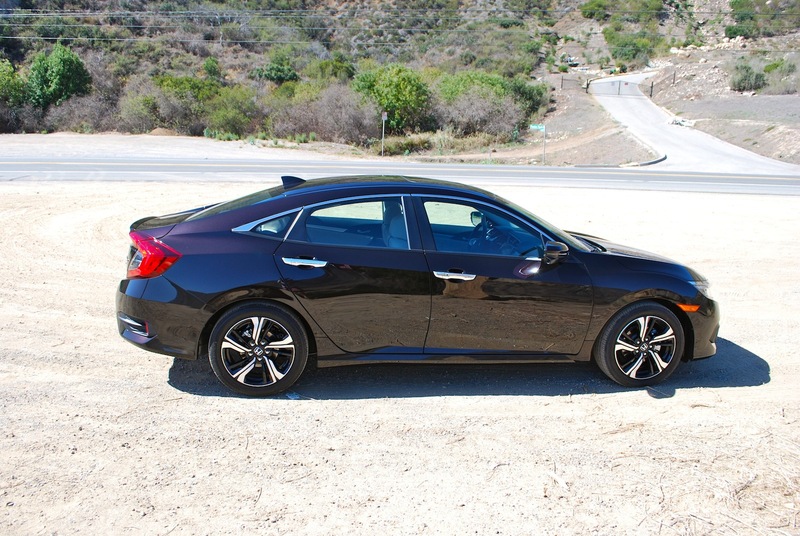 Some people insist the ninth-generation Civic, released for 2012, wasn’t bad. And as a car, it served its mission of cheap, reliable transportation well. 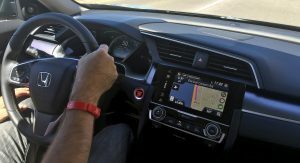 Yet, as a Civic, it failed to live up to its promise of being at the top of its class and tested the loyalty of its biggest fans far too much. 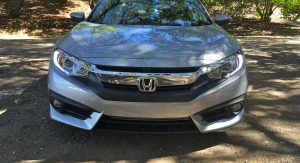 Every subsequent year, Honda rolled out a fix that was basically the equivalent of saying, “We swear we got it right this time.” They never really did – the old Civic was too troubled. 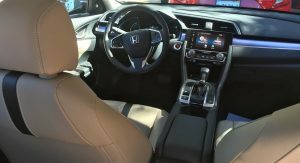 It doesn’t take an hour-long presentation to be convinced that Honda’s goal with the new Civic was to fix absolutely everything wrong with the old one. Consider the 2016 model the Civic Apology Tour, and it’s a sincere one at that. 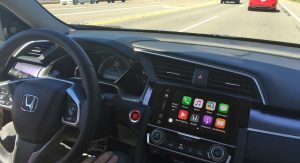 Lots of companies will say they’ve, “taken it back to its roots,” when launching a new product. 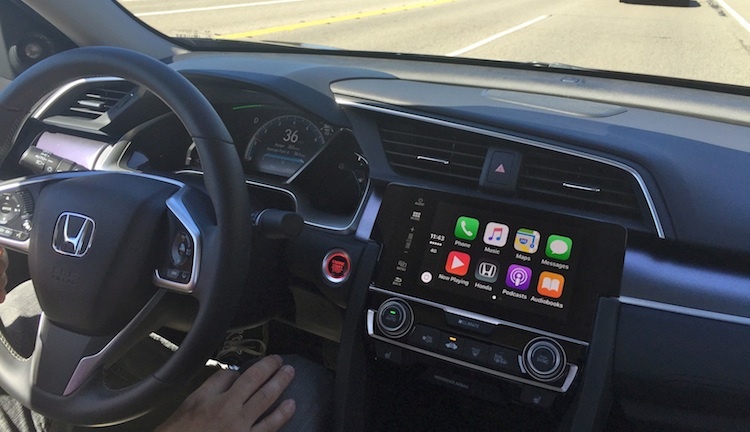 Honda has actually done it here, though. 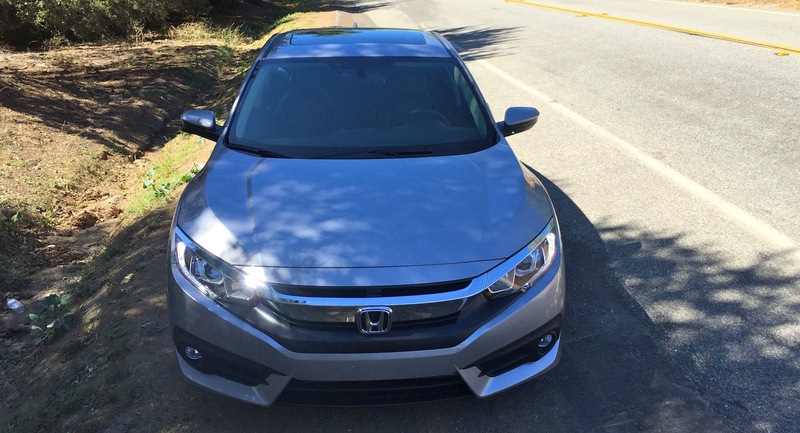 They’ve made the Civic stand way out as perhaps the best new compact sedan you can buy. 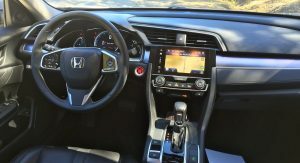 American Honda looked at its global siblings in 2012 at a sharp-suited Civic hatchback (and later Tourer wagon) that rendered the North American model about as interesting as a loaf of white bread. Civics for continents other than North America have been detailed in a way ours haven’t. 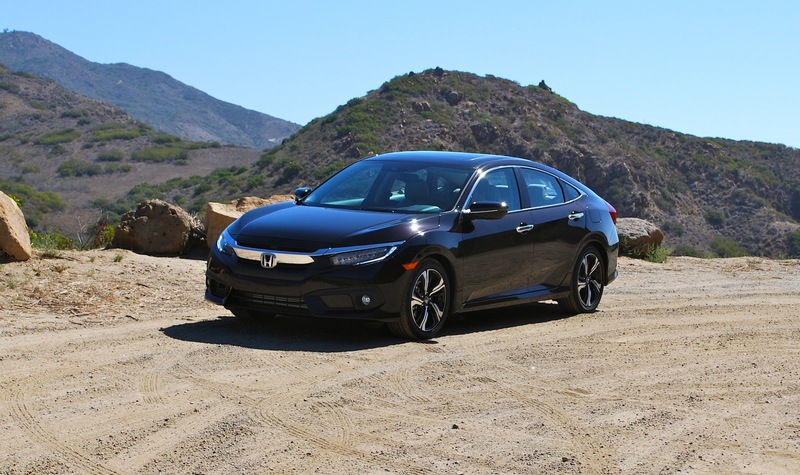 This new “one Civic” policy is good news then, and has probably benefited the sedan most. 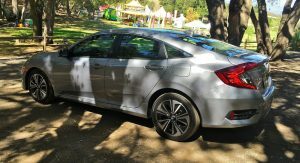 Following recent trends, the Civic sedan looks as though it should be a hatchback, with a long rear window and stubby trunk. 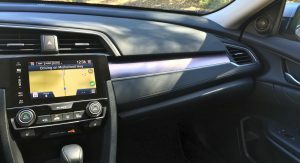 That would normally bug me, but Americans will actually get the Civic hatch the rest of the world gets sometime next year. 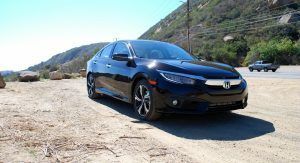 Still, the mainstream, volume sedan is striking in a way I don’t think any Honda sedan has been. 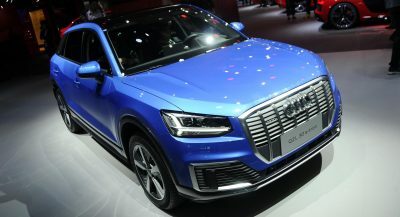 The lower-longer-wider theme helps every single model in the range, from lease-special LX on its plastic wheel covers to the new bells-and-whistles Touring and its LED headlamps. 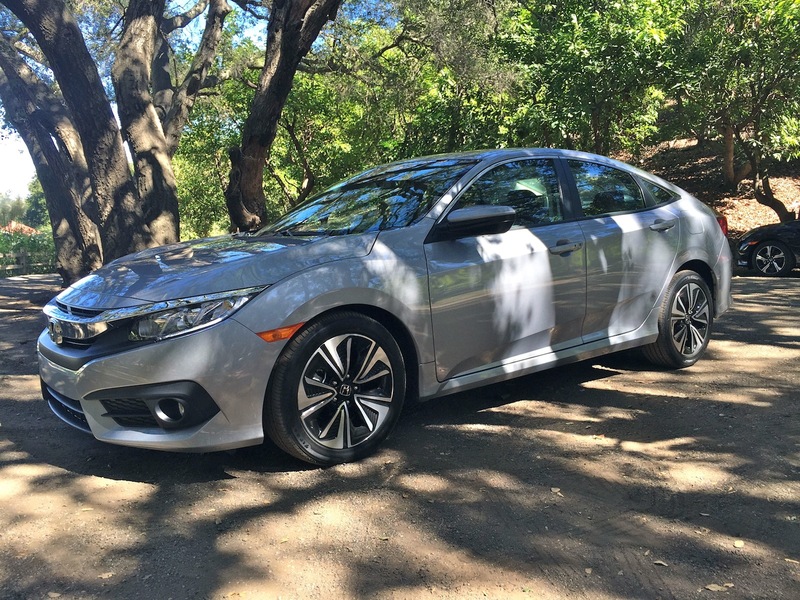 Even on 17s, the Civic could use bigger wheels to fill out its looks, though. There’s a tire issue, too, which I’ll get to later. 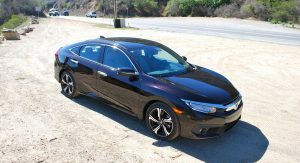 But this Civic manages to impress on a visual level few other cars in this class have been able to do before, save for perhaps the original Ford Focus and current Mazda 3. 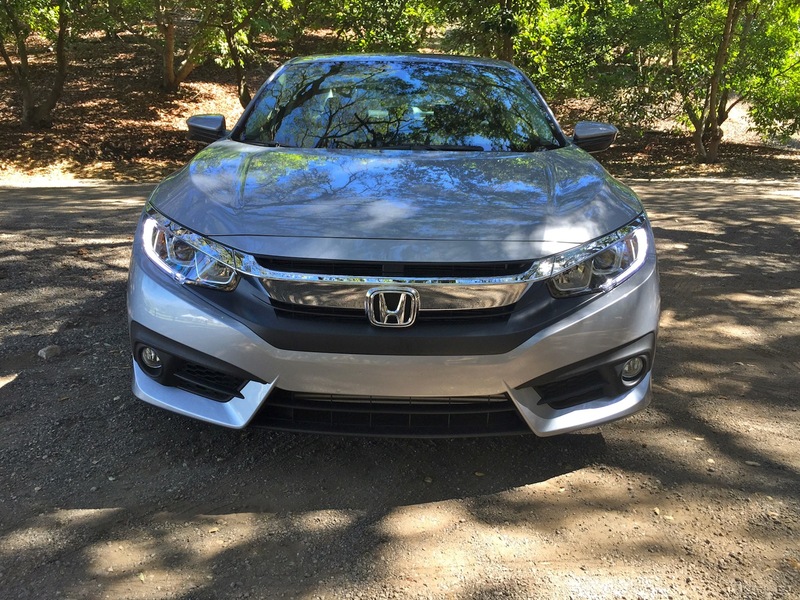 And it still makes you wonder if you’re really looking at a Civic sedan. I’d call that successful. 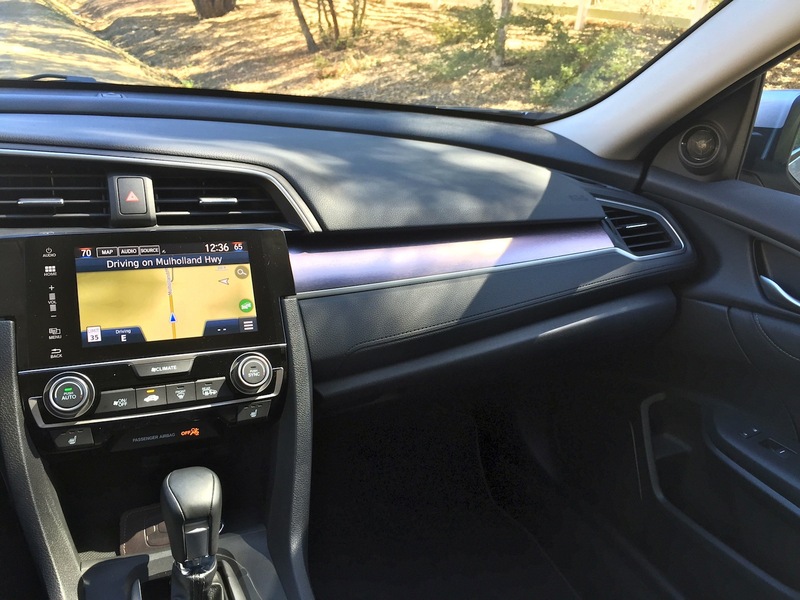 One of the other big benefits to a global Civic is the upgrades made to the interior. 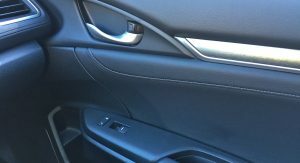 Materials and fit and finish are greatly improved from before, with the overall design far simpler and cleaner than any Civic in recent memory. 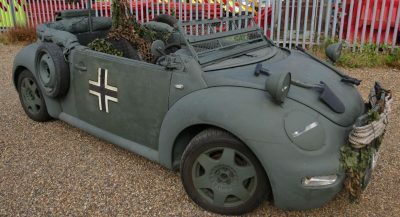 There are some heavy Volkswagen/Audi influences in the looks here, even if the execution isn’t quite at that level. 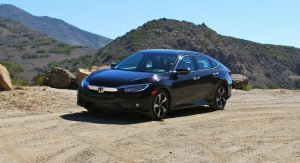 Still, most buyers of the new, $27,000 Civic Touring will feel like they got more than their money’s worth. 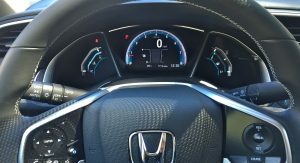 All but the LX get an adaptable gauge cluster that features a big digital speedometer inside a big digital tach, with blue-lit fuel and temperature gauges on either side. 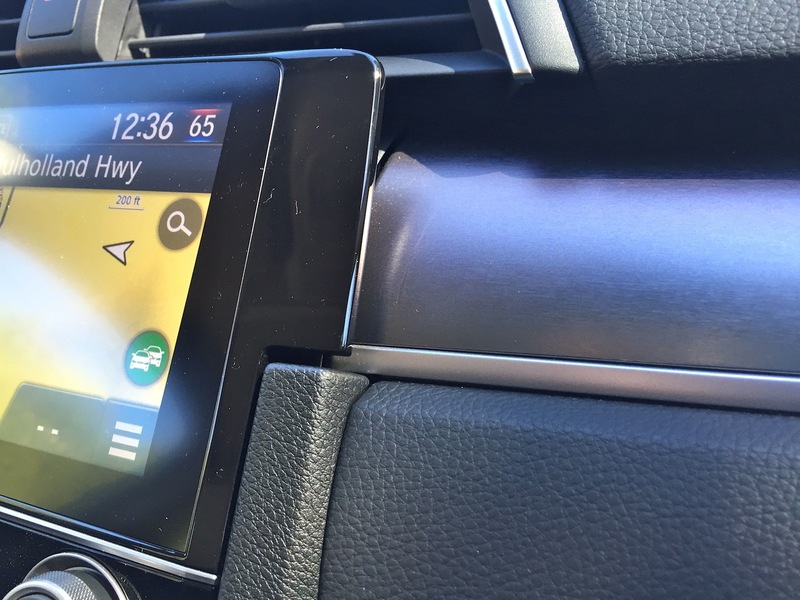 It presents information to drivers in a classy way, with a turbo gauge buried in there for fun. 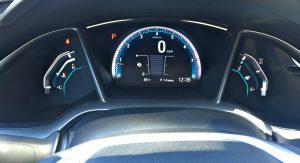 But while the gauges impress initially, the “needle” on them is difficult to read at a glance. It’s tough to quickly see how much fuel you have left, for example. 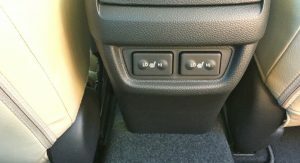 Here, the LX has the usability advantage. 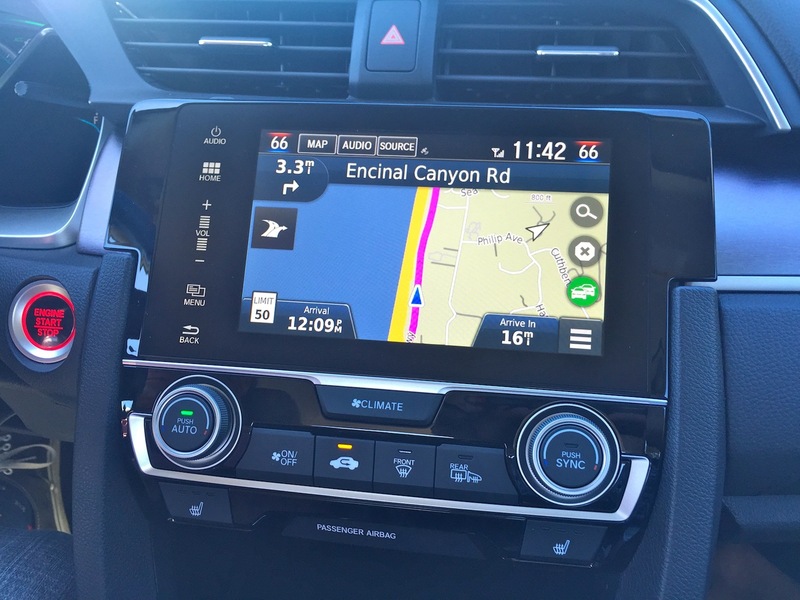 The LX also does better in other usability areas, such as with the radio controls that are much easier to use than the knob-less, button-less touchscreen that comes on every other model. 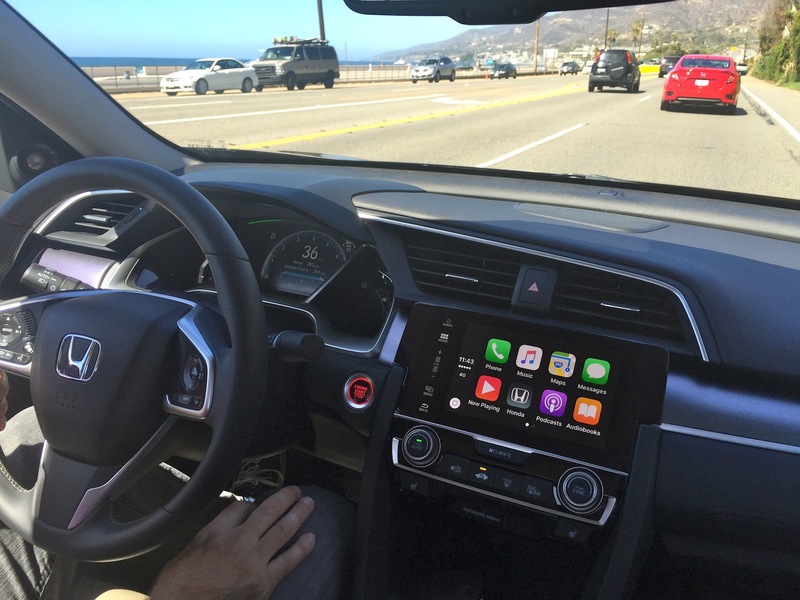 Those models, however, do benefit from Apple CarPlay and Android Auto so screaming at the radio might actually yield results. 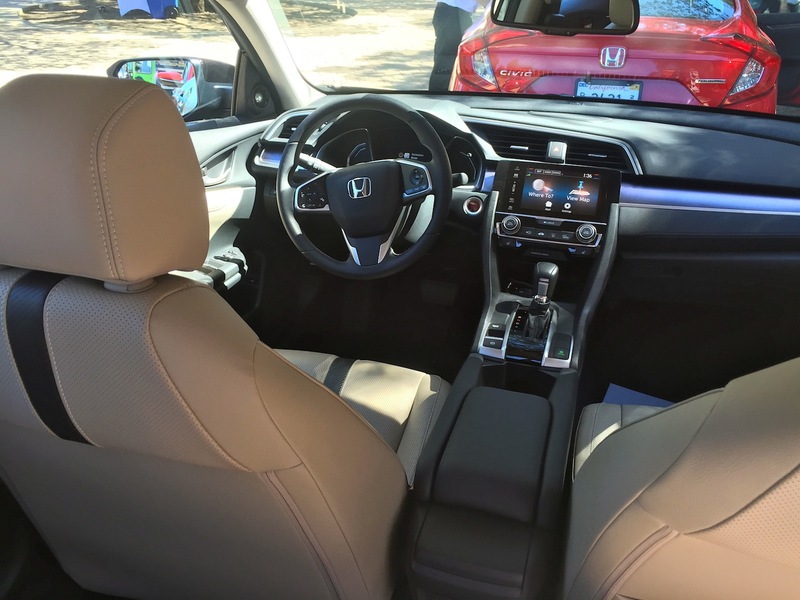 Still, there’s a lot to like inside the Civic. 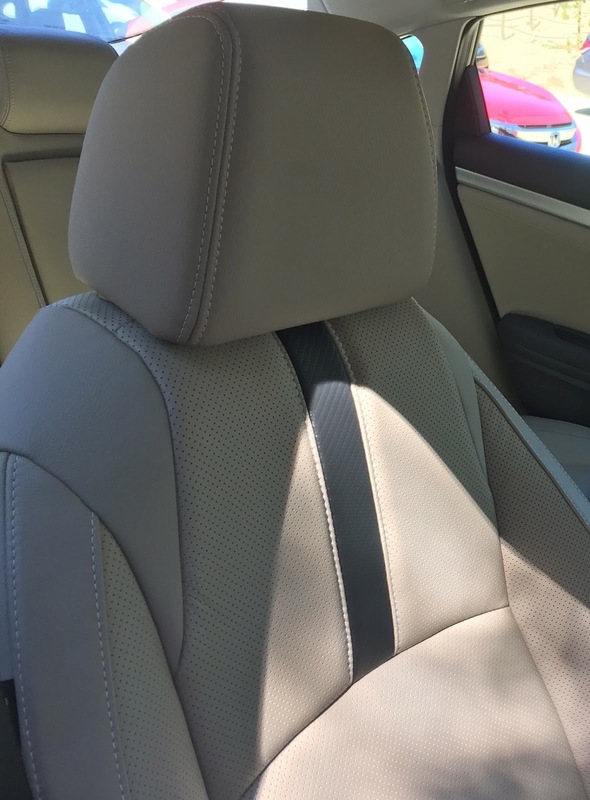 Despite the coupe roof, there’s decent headroom in back. 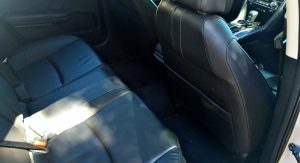 Legroom is especially generous, thanks in part to a big bump in wheelbase length. 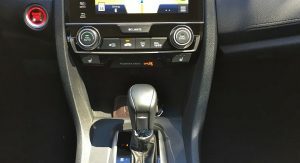 And great details continue to delight, from the stripe on the front seats to the volume button on the wheel that’s both a physical rocker and touch-sensitive. 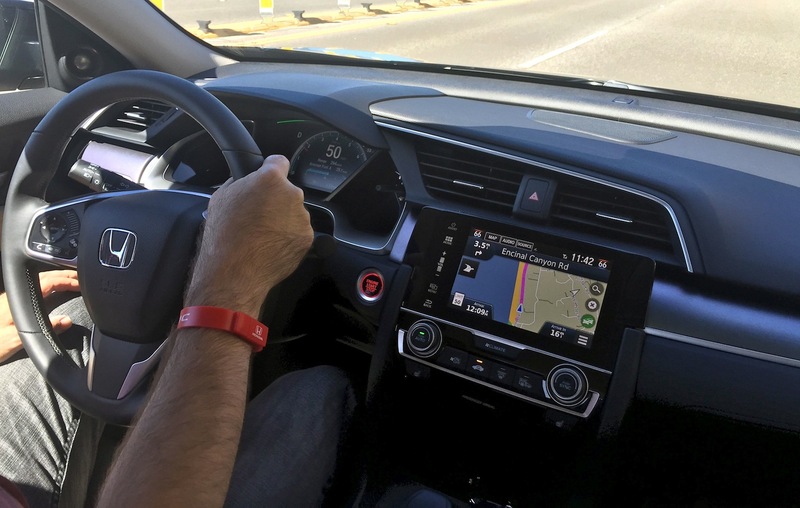 The Honda Sensing suite of driver assists now includes adaptive cruise control that brings the car to a complete stop and starts it going again in traffic – something that’s rare even in the next segment up. Too bad the system is somewhat jerky in the real world. 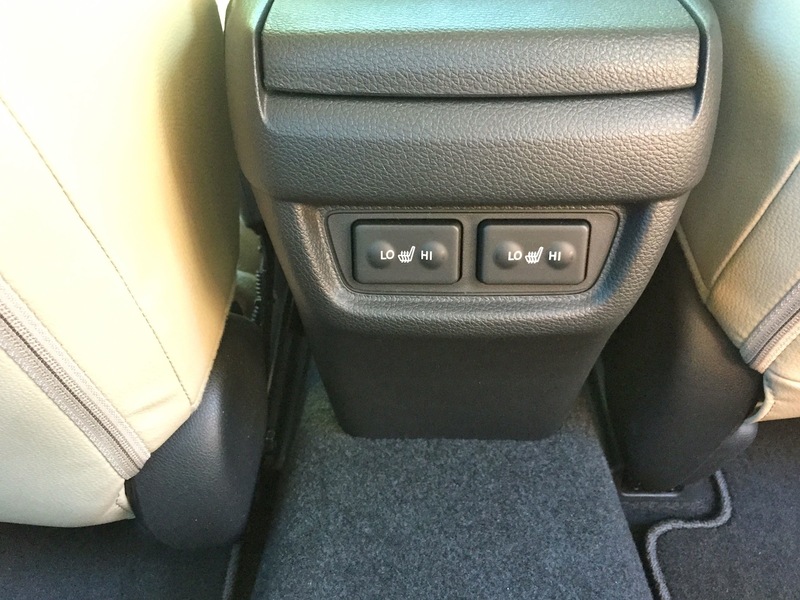 The top Touring model also gets a power front passenger’s seat and heated rear seats. 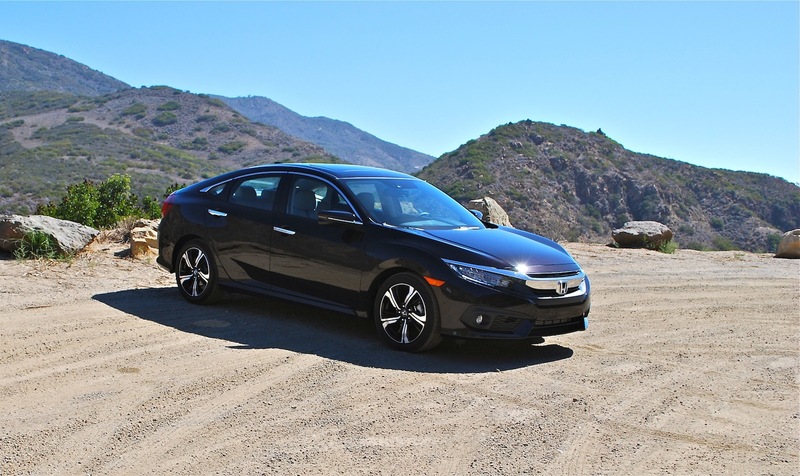 You can thank Hyundai and Kia for pressuring Honda to add those luxuries in its compact sedan. 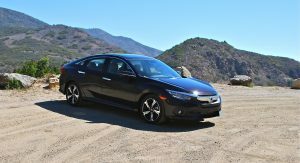 Many people continue to defend the outgoing Civic’s merits as a perfectly adequate car for the money that still possessed a number of virtues Honda has been known for. My response is that those people haven’t spent enough time with the rivals that came out after the Civic. 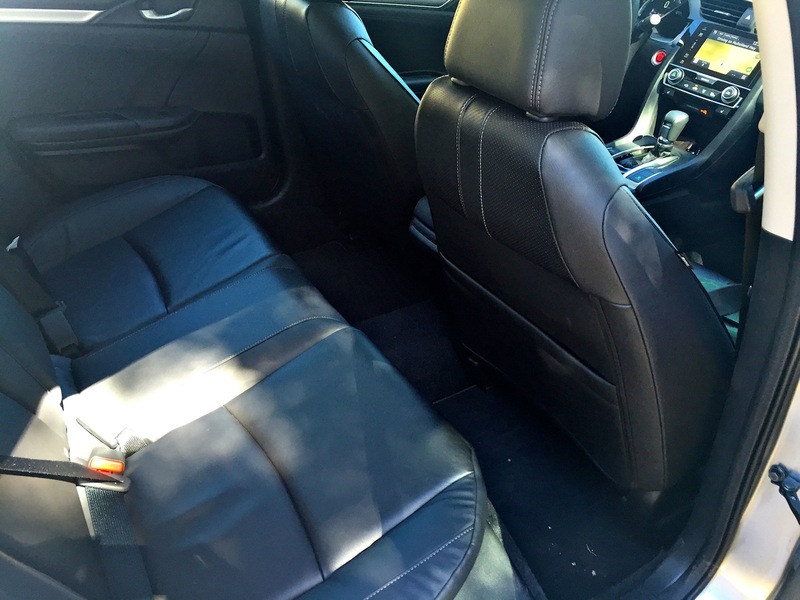 Where the old car felt flimsy, soft and cheap, the new car feels far more substantial. 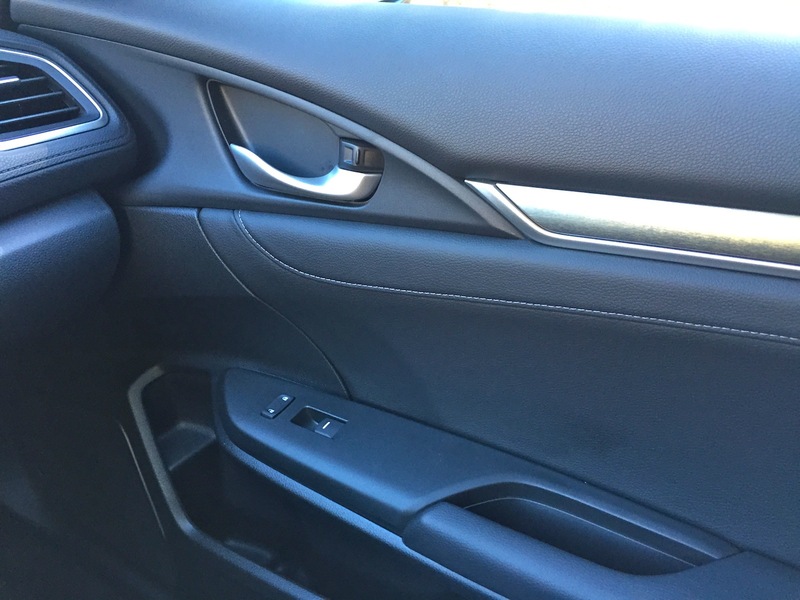 From the moment you open the door, there’s a solidity that’s again more like a German product. All that time bench-marking the Audi A3 has paid off. 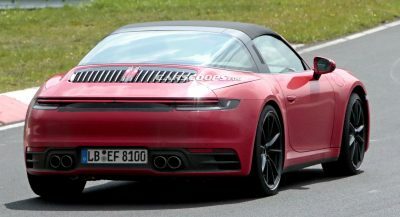 Equally substantial is the new 1.5-liter turbocharged four that’s under the hood of models badged EX-T, EX-L and Touring. 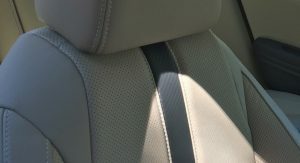 The turbo’s broad torque band is fun to use, too, but the real joy is in how effortless the engine feels even when pushed. 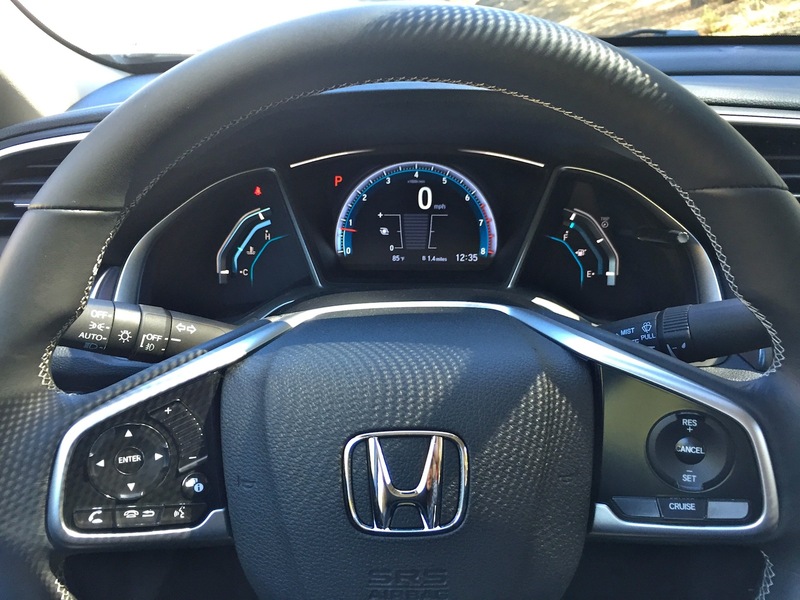 The VW/Audi 1.8Ts feel similar, but Honda’s suits the cars upmarket aspirations. And it revs so nicely. 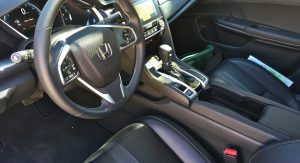 There is a caveat with the turbo in that it only comes with a CVT automatic at the moment, although a six-speed manual for the 1.5T isn’t a matter of when, but if, according to a few Honda people I spoke to. 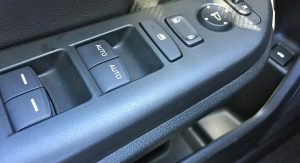 For now, the automatic does a good job getting power down, without the strain and noise that hampers Honda’s other small-engined cars with CVTs. 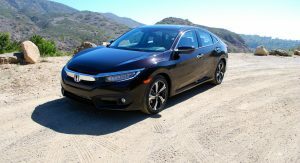 Yet Honda thinks about 70 percent of Civic sedan buyers are going to stick with the 2.0-liter, non-turbo’d four that comes in the LX and EX, and that’s fine, too. 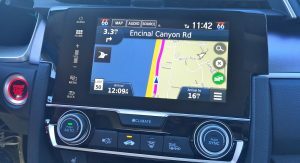 The CVT makes itself more known, however, and while it’s a well-mannered experience, it’s uneventful. 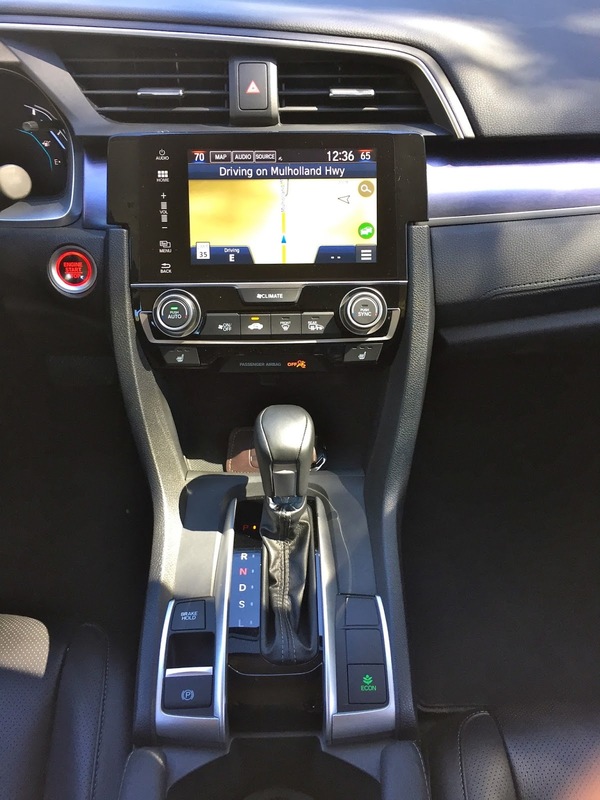 A solution is to take the price-leader LX with its six-speed manual and enjoy its slick action and ease of use. I highly recommend doing that, which only about 2 percent of Civic buyers have done in recent history. 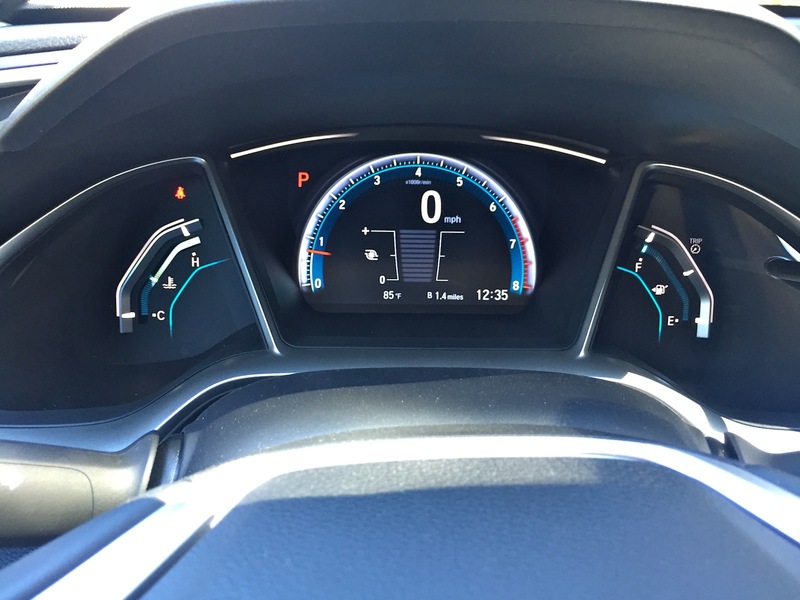 Fuel economy is rated at 31 city, 41 highway with the 2.0 CVT (27/40 for the manual) and 31/42 for the turbo models. Ride quality is much improved over the old one, again in thanks to far better isolation. Handling, however, isn’t smothered in this move. 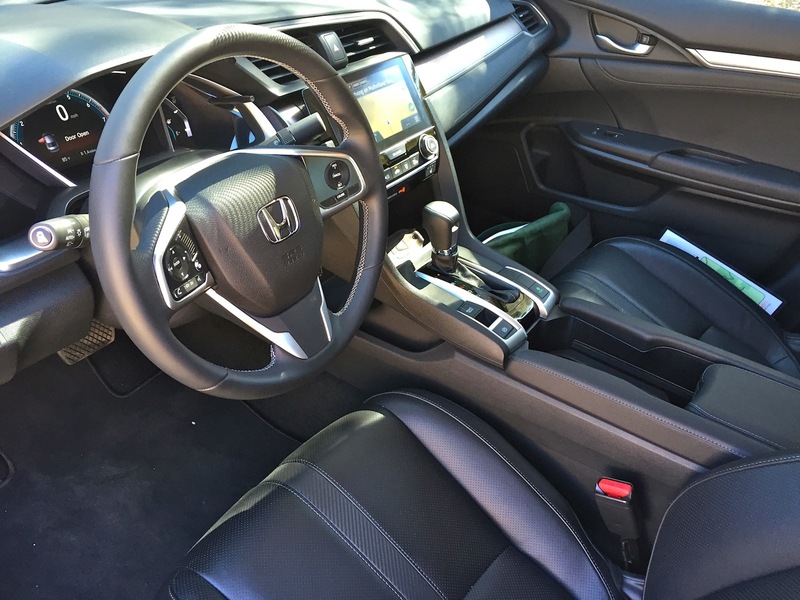 The electric power steering setup is probably among the best in a mainstream-branded car, too. 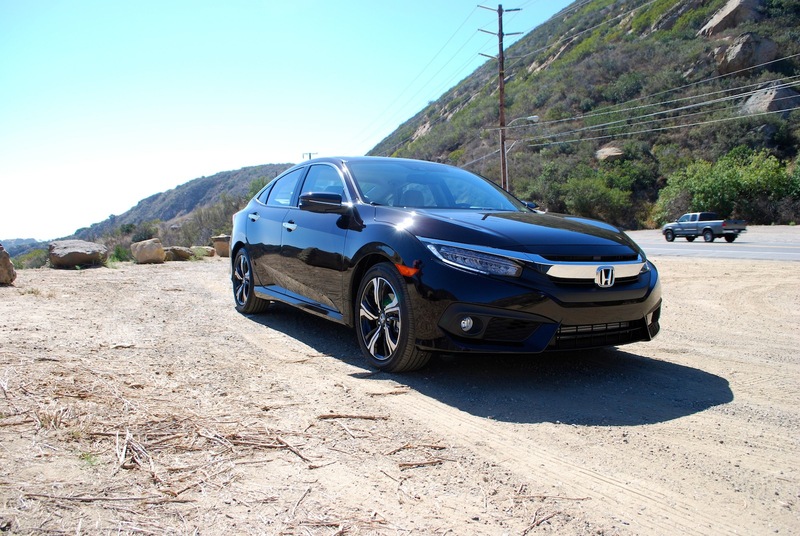 The sore point comes with the tires Honda’s chosen to On Mulholland Highway in Malibu, where Honda encouraged us to really put the Civic through its paces, it took just moderate corners to make the tires howl. 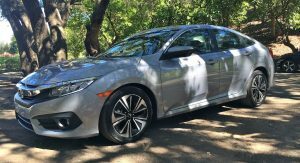 Granted, the Touring model most of my time was spent in is unlikely to do much hard cornering under the ownership of its target buyer. But it was another case of, “Imagine how good it would be if it had…”. 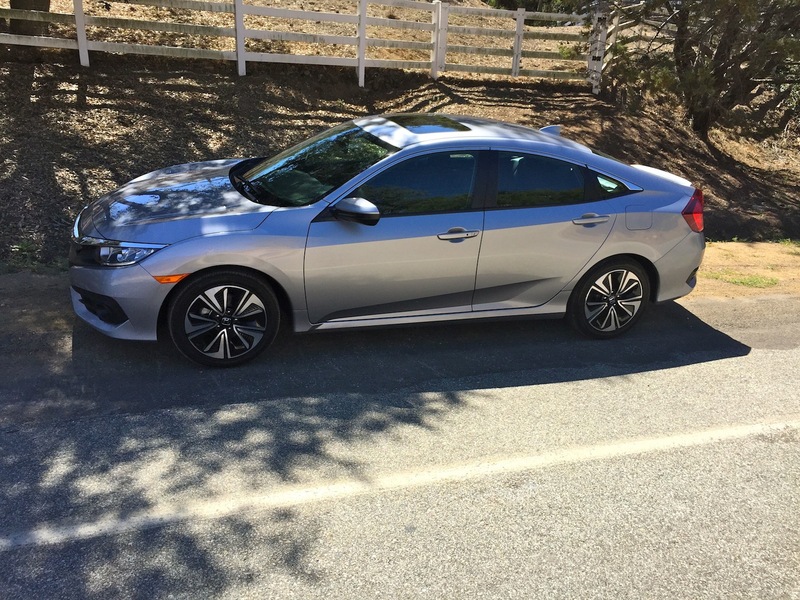 From the moment I saw the new Civic, I felt it was making up for every sin of Civics past. 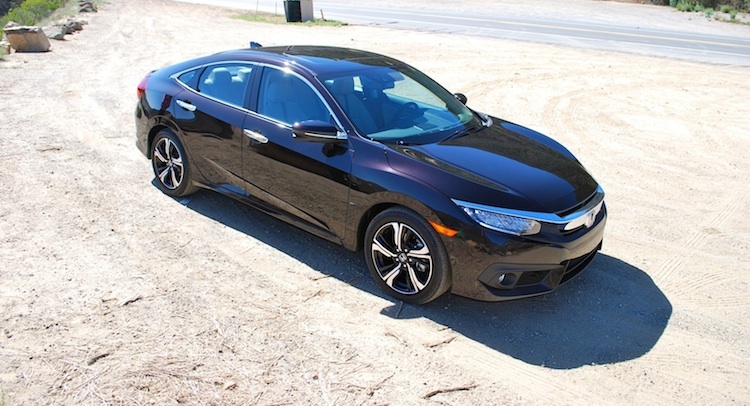 Once again, Honda has set a new benchmark with the Civic. And by doing that, they’ve understood and respected what has allowed them to grow into what they are today. 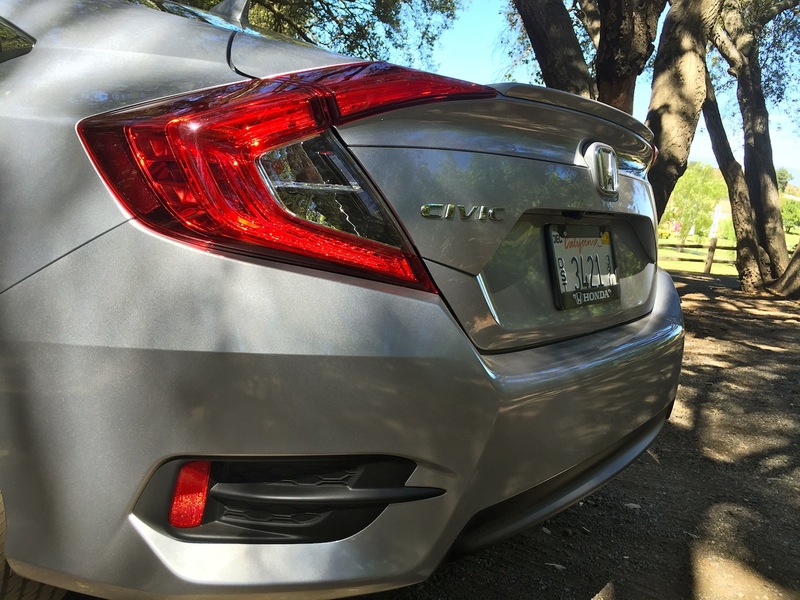 The new Civic doesn’t just have the makings of a good Honda, it’s a damn good car outright. 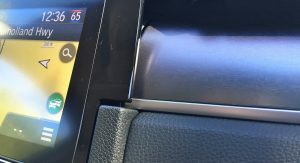 Prices start at $19,475 for the LX manual, with the volume automatic version going for $20,275. 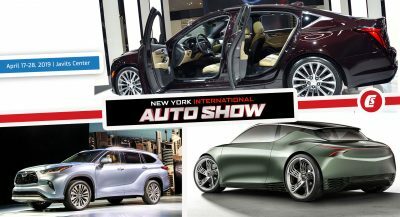 An EX-T turbo kicks off at $23,035 and a top Touring model rings in at $27,335. 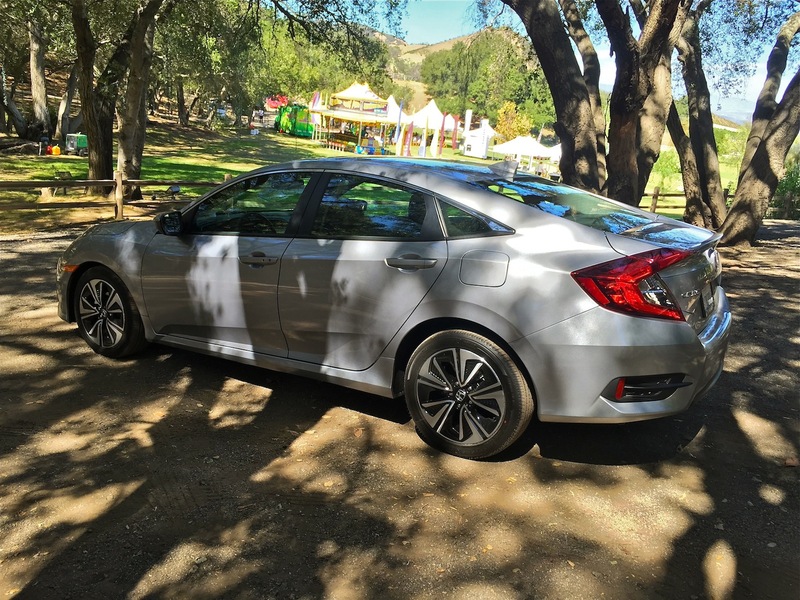 The Honda Sensing package is a $1,000 option on all CVT-equipped models, except for the Touring where it’s standard. 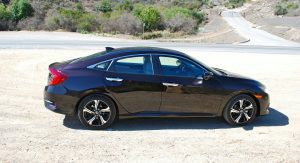 With a few tweaks in the transmission, tires and interior switches, it could be a screaming deal for this price range. 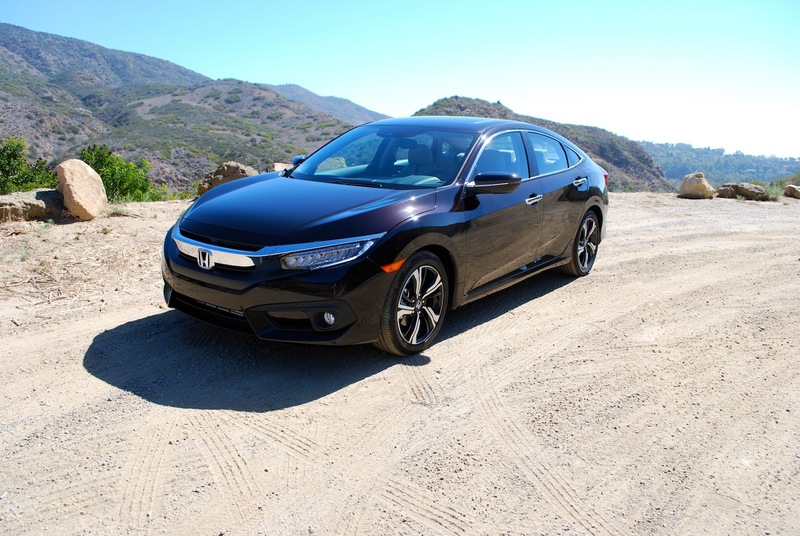 Get a Touring version, and you’ll be driving a better entry level Acura than Acura sells. 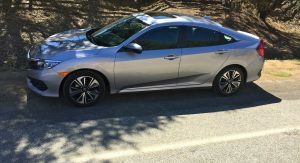 Dynamics quibbles aside, the 2016 Civic presents a startlingly compelling case to be the go-to new car recommendation again. 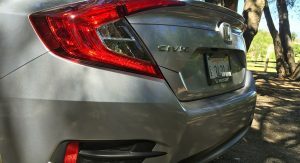 Honda may have jolted the segment awake with the Civic, something it did most successfully about 40 years ago. 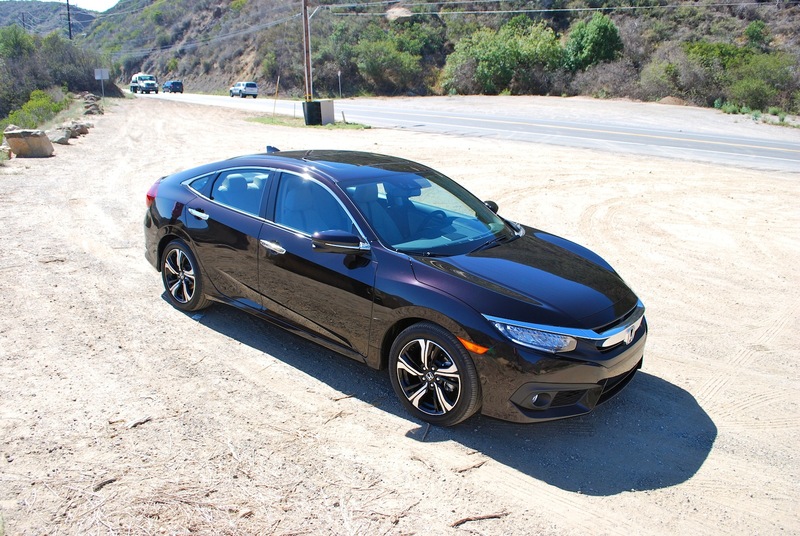 And more importantly, it’s a great start for a extremely compelling Civic lineup. 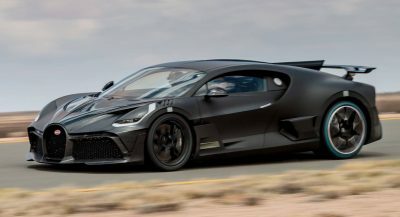 Is it too early to get on the list for the next Civic Type-R?